Lutein is a natural fat-soluble pigment found in plants. Dark green vegetables contain particularly high amounts. However, like many other nutrients, lutein levels decrease due to cooking. The researchers opted for spinach because it contains relatively high levels of lutein and is one of the most popular dark green vegetables. 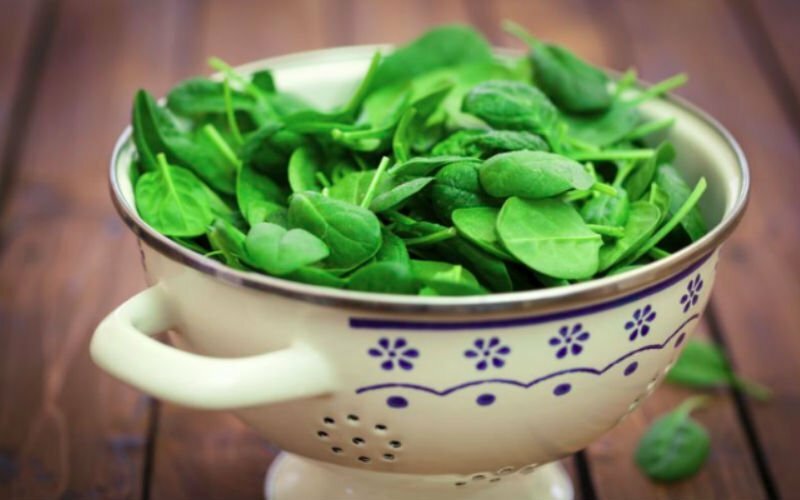 To reproduce how it is prepared at home, the team bought baby spinach in a supermarket and fried, steamed or boiled it for up to 90 minutes, measuring the lutein content at different times. The results published in the journal Food Chemistry showed that heating times and cooking methods are important for the retention of lutein. The more spinach is boiled, the less lutein remains, and when spinach is roasted at high temperature, lutein is lost after just two steps. "The unique thing about this study is that we used cooking methods that are commonly used in cooking food at home, and we compared several temperatures and heating times. We also looked at methods of preparation where the spinach is eaten cold, for example in salads and smoothies, "study author Lena Jonasson said. "The best thing is not to heat the spinach at all, and even better is to make a smoothie and add fat from dairy products like cream, milk or yoghurt, and when the spinach is cut into small pieces, you will get more lutein released from the leaves, and the fat increases the solubility of lutein in the liquid "said Rosanna Chung, lead author of the study. In a previous study, the team found that this lutein can reduce inflammation in immune cells in patients with coronary heart disease. Low grade chronic inflammation is associated with an increased risk of heart attack. They also showed that lutein can be stored in immune cells so that a lutein reserve can be built up in your body.